ethically made, eco and sustainably minded accessories brands. Luxurious vegan handbags. Designed and made in Europe (Poland). Excellent quality, and each of their limited edition bags come with a unique serial number. Their latest collection emphasises sustainable, innovative materials such as pinatex (pineapple leaf fibres), quartz sand and recycled textiles. USA based, made in Korea. With their sophisticated designs, high-functionality and great quality materials, these bags are a favourite of ours. (Learn more in our AR review). Handmade in America (Houston, Texas) by designer Maria Cadena in her own home. Maria takes a slow fashion approach, spending several hours on each handbag. She uses animal-free materials such as polyurethane (PU) and plant-based straws like raffia and toquilla. Made in the USA (New York City + Seattle). Their vegan bags are made from glaze coated canvas (which is machine washable). [Heads up: CK also make some bags from recycled leather]. Designed in California, cut & sewn in New York City. 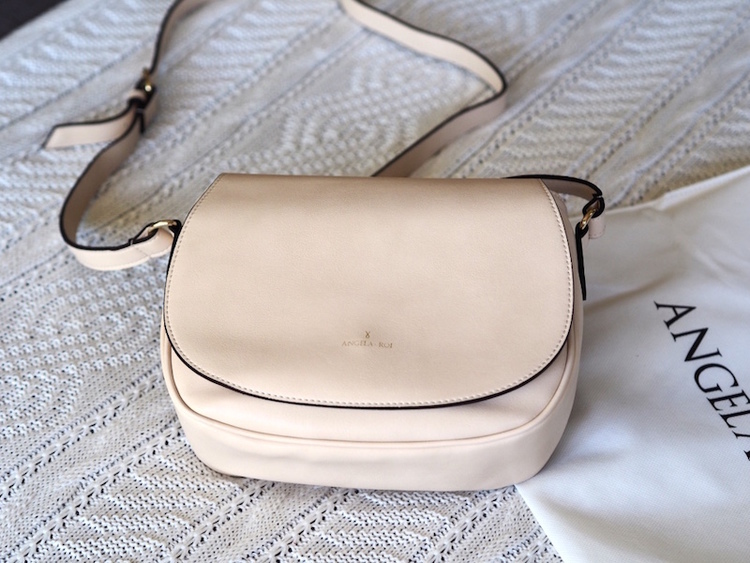 This handbag label launched in 2017 with a focus on environmentally conscious materials (including organic cotton linings and zero-waste packaging). Made in America. Read our review and interview with the founder here. New York City based, made in Korea. Cute, colourful and fun designs. (Previously Hipsters For Sisters). We've got a lot of love for this LA-based, mother-daughter power team. Their bags are made in Los Angeles from sustainable materials such as recycled, upcycled and deadstock fabrics, hemp, cork, pinatex, organic cotton, and eco vegan leathers (PU). HFS are very pro female empowerment, and their bags are designed to free women from their luggage. Luxury, designer vegan handbags. Handmade in Italy. Founded in 2010 by Jill Fraser and and her partner Milan Lazich. You'll find these compassionate accessories on the arms of celebs at red carpet events, including Anne Hathaway, Eva Longoria and Jennifer Lawrence. Designed and made fairly in Israel (screen printing, cutting & finishes done in their own studio, with sewing done by local artisans). They use materials such as raw cotton, eco-polyurethane, microfiber faux suede and up-cycled or overstocked polyester for linings. Made in Italy, beautiful quality. Noah also make shoes, wallets, belts, gloves & hats for women and men. An eco focussed outdoor lifestyle brand that makes bags, wallets and notebooks from sustainably harvested Teak tree leaves. (The leaves are sealed with a non-toxic laminate to make products waterproof and durable). Tree Tribe also make eco sunglasses, bottles and activewear. They plant 10 trees for every sale. USE CODE "KINGANDQUEEN10" FOR A 10% DISCOUNT. 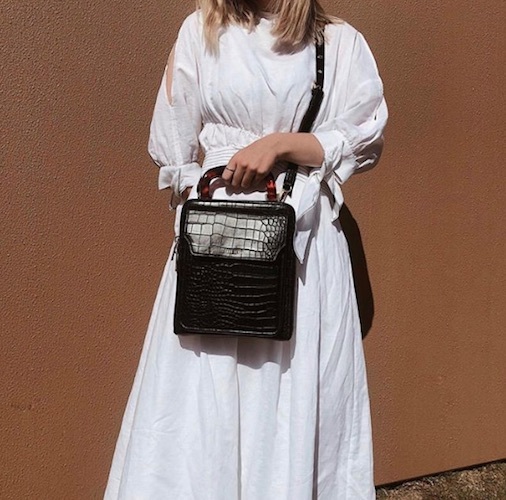 After working as the Managing and Creative Director at well known Australian leather accessories label MIMCO, Cathryn Wills set upon her own journey of creating a handbag brand that aligned with her own values since becoming vegetarian in 2015. Sans Beast are based in Melbourne, and their accessories are produced transparently in China. A fashion label with a beautiful story, on a mission to create as much good in the world as it can. This social enterprise uses up-cycled materials to create backpacks, bags and other accessories, and it uses the sales proceeds to create positive social change in Cambodia. Run by Singaporean brothers, this label creates minimalist briefcases, satchels and backpacks for men that are inspired by urban cities the brothers grew up, such as Tokyo and Singapore. Los Angeles based. Made under Ethical Fair Trade practices in India. Vegan Collection make wallets, card holders and belts. Based in London. Made in Portugal. As well as shoes, Will's also make great quality accessories (briefcases, satchels, backpacks, travel bags, wallets, belts & handbags). Italian made with beautiful quality. As well as belts and accessories, Noah also make shoes for men and women. Los Angeles based. Made under Ethical Fair Trade practices in India. 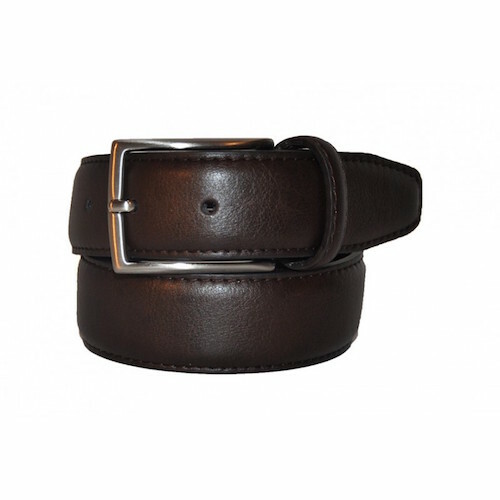 Vegan Collection have a range of reversible belts (Alexander, Julian & Franklin styles), so you can get both a black and a brown belt in one. We love that kind of sustainable thinking! Curious to know what conscious fashionistas around the globe keep in their handbags? 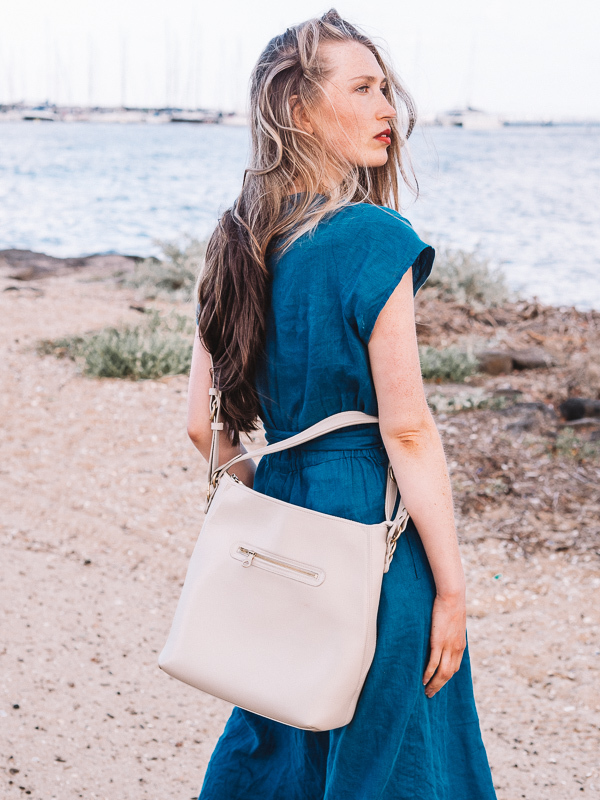 Check out our What's In My (Ethical) Handbag feature series..
Rebecca from Scarlett Vegan Bags: What's in my Ethical Handbag? Where to buy vegan accessories: physical + online stores. As well as from these brands own websites, you can buy ethically made vegan shoes at various retail stores around the world. Most offer worldwide delivery. Some of these stores below are specifically vegan, and others focus on ethical production and have good vegan options. For clothing, shoes & accessories for women and men. Using these links won't cost you anymore, and we'll never recommend a brand to you that we don't love ourselves. As always, we are keen to support small businesses with ethics & great products, who are providing fabulous vegan options.